Ted...please share with your TV-Movie Car friends....LVCS is open to all specialty vehicles. Best wishes for holidays! Friends, LAS VEGAS CAR STARS returns for the sixth year....MAY 16-17 downtown Fremont Street. "The World's Greatest Gathering of TV and Movie Cars helping special needs children." Las Vegas Car Stars is open and free to attend. Looking forward seeing you in Las Vegas! I have listed on eBay original hero car 2009 Knight Rider Mustang License Plate as seen in 17 episodes. For more info visit the link below. Best wishes. 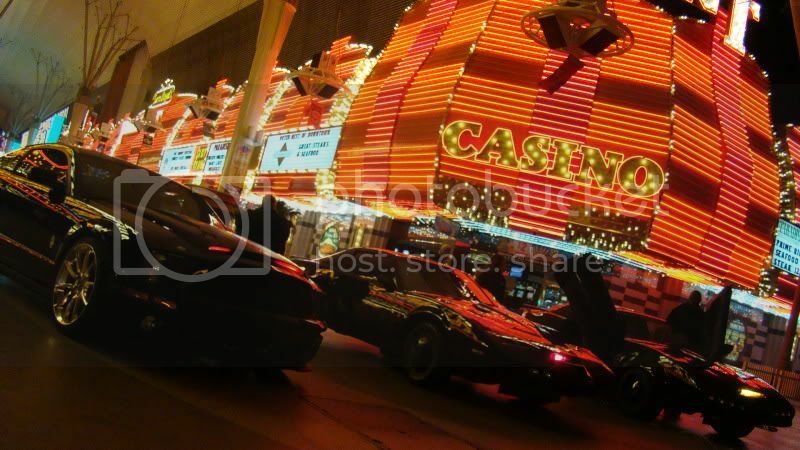 Join KITT and his friends at 2014 LVCS on Fremont Street, Las Vegas-NV...the original home of Knight Rider. Bo...awesome work....this is why you are consider to be one of the best. On behalf of LVCS, KRF and CMN thank you...looking forward seeing you, Rob and members of the Foundation at 2013 LVCS-KRF...ONLY LAS VEGAS!!! Legendary "Special Guests" will be attending this historic event....don't you dare miss it! 30th ANNIVERSARY CELEBRATION....SEE THE LIGHT!